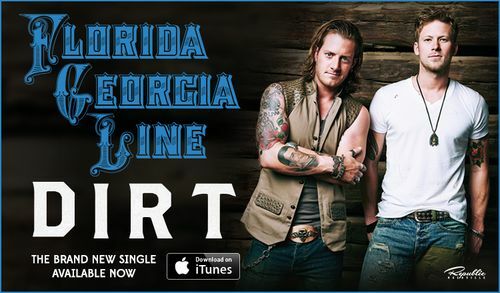 The hit single “Dirt” from Florida Georgia Line’s new album Anything Goes, went officially platinum in Canada! Congrats to you guys! You can pre-order the album from iTunes today, and get the platinum track “Dirt” instantly, along with other early releases. The full album will drop October 14th, 2014.